On this day last week, Tuesday, September 8th, I was out and about with a list of tasks, including having a look at that Smith Premier Junior portable with the Egyptian-French keyboard in an antique store in Fyshwick. Also on my list of things to do that day was to get a haircut at Curtin. It was a lovely sunny day but one marred by a chilly wind (not ideal for trimming the locks!). As I ducked into an alcove at Curtin to avoid the cold blast, I pumped into Malcolm Farr, the renowned Australian political journalist I last worked with on the Brisbane Sun 30 years ago. I hadn’t seen him since. While we chatted, I noticed another fellow, standing a few feet away, was taking particular interest in the Australian Typewriter Museum sweatshirt I was wearing to keep me warm in the breeze. When Malcolm went off to get his shopping, this other chap told me about his Underwood 5. Now, not being a columnist in The Canberra Times any longer, I seldom get these sorts of offers these days. So I quickly jump on them when I do. David turned up yesterday and I was astonished by what he gave me. All the more so when he told me that he had found this absolutely magnificent machine dumped in a mini-skip in Curtin. So I guess we will never know anything of its history - except that it was one of the very first Model 15 Torpedos ever made. The Torpedo 15 looks very much like a Royal of the period, and of course it was made just before Remington took a controlling interest in the Weilwerke company of Rödelheim at Frankfurt am Main. But the most outstanding feature of this Torpedo Model 15 is its unpainted metal frontispiece. I’ve never seen another typewriter like it. I was also taken by what I found to be an efficient shift lock mechanism, and by the carriage lever (which is similar to the one on the Model 14 and the first Imperial portable - made by Torpedo - as well as the Model 17, but ditched for the Model 15a, below, and Model 16). The leftside carriage knob was introduced to the 16. 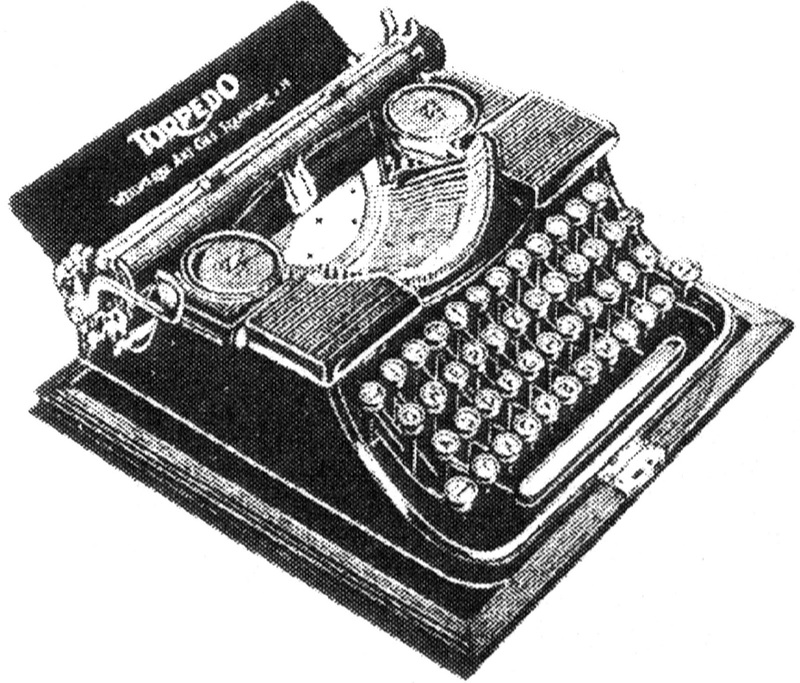 A check of the Typewriter Database indicates that this Torpedo 15 was made right at the start of the Model 15’s first year of production, in 1931. 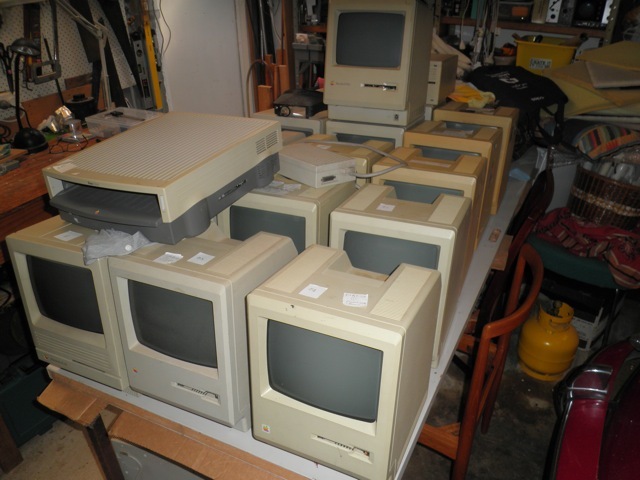 The database serial numbers start at 134751, and this one comes just 152 machines later. The Torpedo 15 was designed for Weilwerke by Englishman Herbert Etheridge (1885-1940), who either side of World War I had worked for William James Richardson in turning the Bar-Lock into a British-made frontstroke standard in Nottingham. 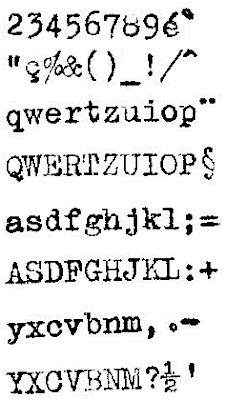 In 1919 Etheridge wrote the Dictionary of Typewriting and in the mid-1920s went off to work for Weilwerke in Rödelheim. His most notable achievement there was to introduce segment shift to the portable. According to Ernst Martin and Leonhard Dingwerth, this was a first for a German portable. Etheridge patented his Torpedo 15 design in Germany in February 1930. He ended his career working for Imperial in Leicester. 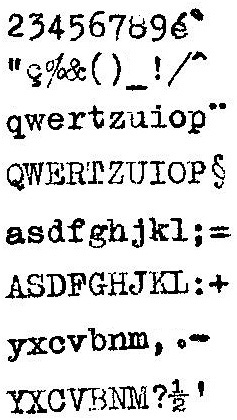 For compactness, Etheridge also designed this paper rest and stop mechanism for the Torpedo 15. 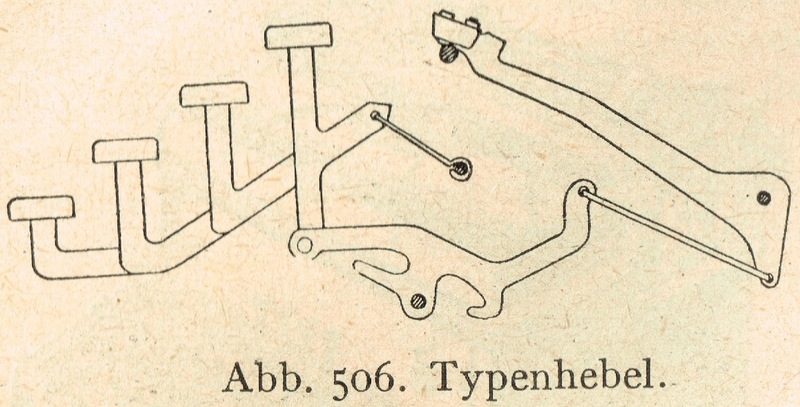 Below, from Dingwerth, a later version of the Model 15, with a changed carriage lever and no unpainted frontispiece, but the same shift lock mechanism. Congratulations on the great Torpedo! Keep on advertising! Very nice! The shape reminds me of my Triumph Durabel. Stunning machine - what great good luck. I'd like to see a picture of your Australian Typewriter Museum sweatshirt - it sounds like it may have magical, magnetic powers. What sort of monster could dump such an object in the skip?